“In space, no one can hear you scream.” In space, there are also many other things that no one can hear, given how empty most of it is. As you might imagine, this is a consideration for us: with our entire game being set in space, it’s important for us to find a balance of realistic and engaging game design. At what point though, can realistic and engaging be held in the same hand? It’s easy to say you know what’s fun in your own game, but it’s also easy to get lost without the input of others … like all of you! 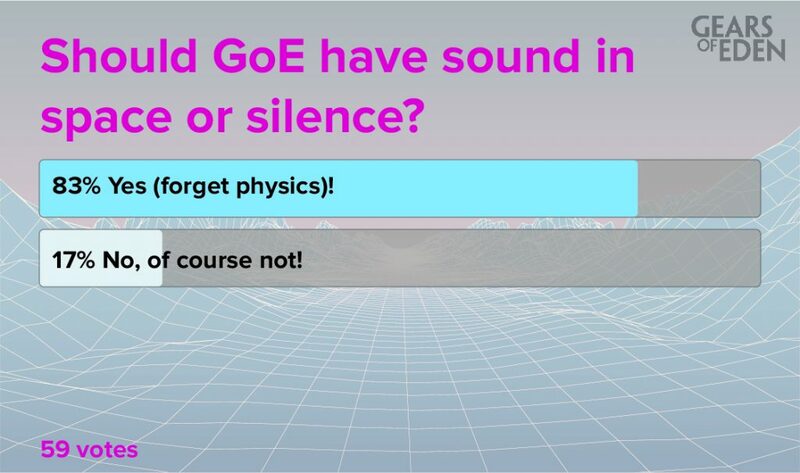 So we asked how you felt about sound vs silence in space … and the vast majority of you said that you wanted to hear something while playing! 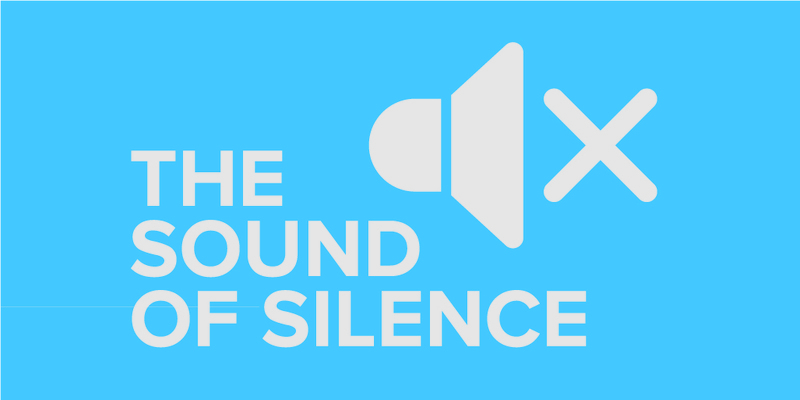 That silence might be beautiful (and terrifying) in real life, but in a video game, that just means you’ll be turning on Spotify while you play, right? It’s that or listening to your AC run. But you know, that isn’t to say there isn’t a validity to seeking a more reality-friendly sense of game design. After all, we want our experience to stand out, at least in its own little way. And wouldn’t it be great to be the game to pull off actual silence and capitalize on it? As a thematic device, it could be brilliant. Don’t even get me started on the possibility of letting the player feel like they had an actual portal into space. If done right, it would be amazing. That, however, is a huge, and dangerous, goal. Even though there is that magic little voice in the back of our heads that’s crying for it, we also don’t want to run the risk of overstepping our bounds … more than we have, at least. (Hey, it’s fun to be bold!) So … what does this mean for Gears of Eden? Well, we’re probably going to err on the side of safety in regard to sound, but it’s also important to us that we actually acknowledge our setting in every part of this game’s design. With that in mind, I have no doubt that we will definitely be using silence, so at very least you never forget where you are. This is also an area where game customization preferences can come in useful, so that is an option we will be exploring as well. In this particular instance, a few checkbox options in a settings tab might be enough to keep everyone happy. Of course, we will keep you up to date on the latest design decisions as we start testing different approaches and weighing the advantages and disadvantages they possess. That’s all for this week’s Fan Feedback, but as always, we have another poll for you! In last week’s Dev Update, we talked about how we’re looking into doing a podcast, so we naturally wondered what you think of them? Do you have a favorite? Or are they just not your bag? Let us know, and we’ll be back next week to talk a little more about what podcasts mean to us! To see that discussion as soon as possible (and everything else Gears of Eden), be sure to follow us on Twitter or Facebook! We’ll be back in a couple days with a new Dev Update, and I hope we see you then!